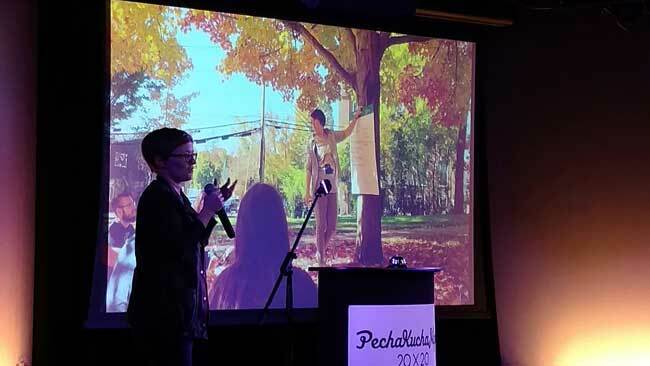 I presented at the 23rd Pecha Kucha Night in Portsmouth, NH at 3S Artspace on February 23, 2017. The Pecha Kucha format dictates 20 slides that advance (on their own) every 20 seconds (exactly). The worst case scenario is, the timing will be off at it’ll be hilarious. The best case scenario is, it’ll be flawless and impressive and wicked compelling. I spoke about being socially and politically active while being a professional — values-centric work.